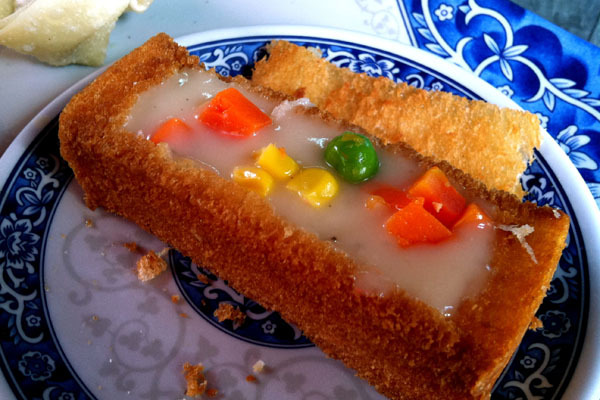 This may sound really strange – but have you eaten a coffin? If you are thinking about the other version that is used to bury people, let me clarify. 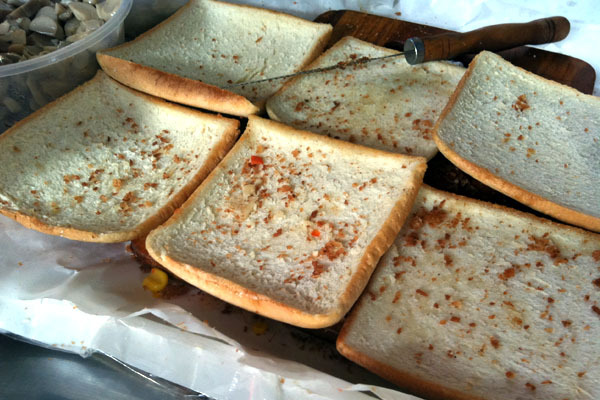 I am talking about Taiwan’s Coffin Bread 棺材板, a popular street snack similar to bread bowl soups. Knowing how superstitious the Chinese are, naming a food after a death item may not be the most auspicious thing. The reason why it is called “Guan Cai” is because it also means “Sheng Guan Fa Cai” 升官发财 – Getting a promotion and being rich. 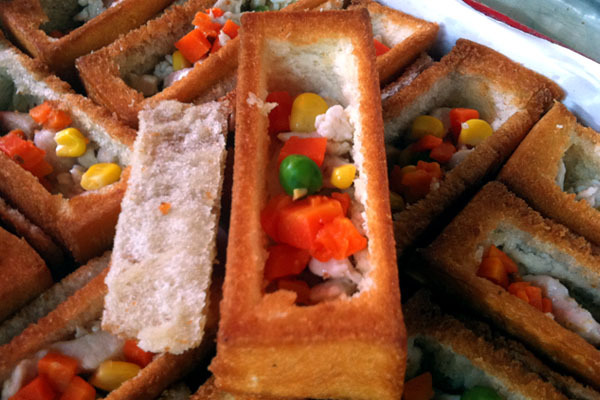 The Coffin Bread is one of the signature dishes from Tainan, created by 許六一. It is modified after the Western bread which the American sailors brought over during their marine travels in olden days Taiwan. 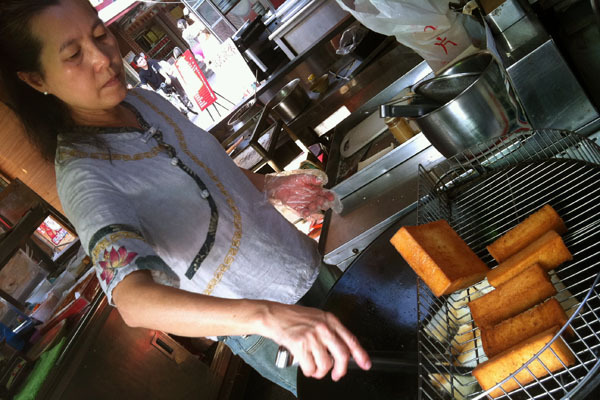 The snack is usually shaped like a square block, with the centre portion of the deep-fried thick toast removed. The impression will be filled with plentiful of ingredients such as chicken meat, vegetables and pigs’ intestines, cooked with corn, mushroom or curry sauce. I had a rectangular version at Lao Jie 老街 AnPing Tainan. Now this version looks more like an actual coffin with its new shape. Costing only 20NT, the creator said this modification it makes a more convenient snack to eat at a night market. She also replaced with intestines with vegetables to cater to a health-conscious youth population. With a crisp golden brown older layer, fluffy bread and sweet creamy sauce, the Coffin Bread a rather satisfying snack. Hopefully I will get a promotion and become prosperous after this.